The tank that holds your hot water is made of metal and it will rust the older it gets. As the tank rusts it affects the color of the water. This leads to the second sign of a failing water heater and that is muddy or murky water. Some homeowners will pour a water softener into the tank to prevent the rust from affecting it but this will only work for so long. If you turn on a spigot at a sink or in a shower and the water is murky or muddy you need to have the tank emptied completely. Once the tank is emptied a plumber can then assess the tank. The plumber might say that the tank can be refilled and the water will be clear or the plumber might find that the tank needs to be replaced. Have you been hearing weird noises coming from the pipes or other fixtures in your home? These sounds will definitely not sound normal and they can either be irregular or consistent. Some of the noises you might hear with a failing water heater include popping, bubbling, and even gurgling. A great way to discover these noises is to stand next to the water heater prior to taking a shower or running a load of laundry that requires hot water. Take note of the noises that are made prior to either of these tasks. Once you are done, go back to the tank to listen to the sounds it is making now. You will notice these noises because the tank is cooking the sediment that sits at the bottom of an older water heater. The noises occur because you’ve used enough water from the tank to stir up what sits at the bottom. You should never mess with a water leak when it comes to your plumbing, especially the water heater. It’s best to call an experienced plumber immediately. If you find a leak near any of the fittings on the water heater it’s a common sign that the appliance could be failing. You should also check the fittings and other connections for rust or corrosion. The next time you go to wash the dishes, take a bath or shower, run the dishwasher or do the laundry and there is no hot water it could be an indicator that the water heater is failing. A water heater that operates efficiently will not have trouble supplying enough hot water for multiple showers or multiple appliances using hot water at the same time. If your water heater is in a closet you will likely notice this sign before it’s too late compared to having the tank located in the basement. If there is water pooling beneath the tank it could be caused by a leak or crack in the bottom of the tank. If you find a pool of water you need to call a plumber immediately because the tank will need to be replaced. Are any of these signs present with your water heater? 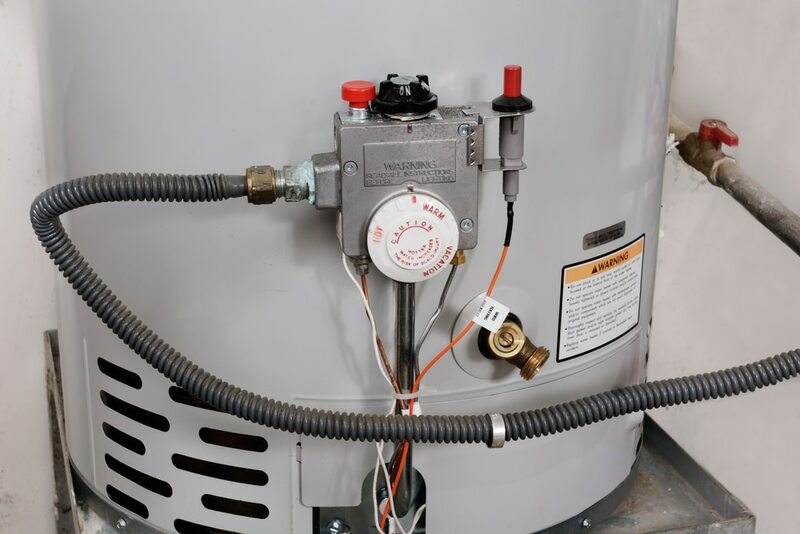 If you spot any of these signs with your water heater you should call the experienced team at Flow Plumbing to schedule an appointment or read more about our water heater repair service in Mesquite Texas here > >.